Does a new administration mean a brighter outlook for the AEC industry? Interesting question, to be sure. Some AEC industry experts believe that things will not improve any time soon, regardless of whether President Bush or President-elect Obama is in charge. And, clearly, the Architectural Billings Index for October being the lowest number since its inception gives credence to that argument. Yet, it's pretty clear from the mounting number of trade industry articles that have been published since the November 4 election that many observers also believe that President-elect Obama will make infrastructure funding a priority, thus brightening the seemingly dreary prospects for the beleaguered industry. According to a Reuters article published earlier this week, Obama told the Conference of Mayors that, "We are going to have to make sure that we are investing in roads, bridges, other infrastructure investment that lays the groundwork for long-term economic growth." In fact, according to the article, more than 4,500 infrastructure projects could begin immediately once funding shortfalls are rectified. In fact, many experts believe infrastructure projects will comprise a large part of the next economic stimulus package. The shortfalls in funding have forced officials to postpone repairing deteriorating bridges and roads for years, even though designs and permits are in place. The stimulus plan could "absolutely change the scenario for companies that have been talking about laying people off," according to Associated General Contractors of America Chief Executive Stephen Sandherr in a Wall Street Journal article earlier this week. Clearly, as evidenced by the daily fluctuations on Wall Street, we are in a time of great uncertainty. But there does seem to be some hope on the horizon for the AEC industry. We shall see. Anyone who wondered if Canada's economy would keep Stantec from continuing its ongoing acquisition spree can rest easy: The answer is no. Stantec made headlines both in the United States (articles on CNNMoney.com) and in its native Canada (articles on CBC News' web site and the Toronto Star, among other Canadian news outlets) for its impending purchase of Jacques Whitford, a Halifax, Nova Scotia-based environmental consulting firm. According to various news reports, the Edmonton, Alberta-based engineering firm Stantec is offering $143 million to buy Jacques Whitford to strengthen its presence on Canada's Eastern seaboard. The deal would double Stantec's presence in the Atlantic region and help expand the range of its services as Jacques Whitford has 1,700 employees across Canada and about 500 of them work in the Maritimes, according to CBC News. Stantec will be meeting with employees and shareholders this week to provide them with the deal's details. Tony Franceschini, the president and chief executive officer of Stantec, said he will be meeting with the employees and shareholders this week to provide them details of the deal. Further, Franceschini said the board of directors and the senior leadership of Jacques Whitford have already agreed to vote their shares in support of the deal. He said he expects Stantec shareholders will also support the transaction. Both he and his counterpart at Jacques Whitford believe most employees will keep their jobs if the merger happens. Franceschini said in an article on Canada's Financial Post web site that he's going ahead with the deal because it's available now, it fits with Stantec's strategy of becoming a global design leader, and it doesn't require new credit. "It's a bit like dating and getting married. You don't always pick the time," Franceschini said in an interview. "Whenever you buy a good firm, you are going to have to pay a fair price for it. We have the financial ability to do it, it's not going to stress our credit facilities, so why not now?" The acquisition boosts Stantec's annual revenues to $1.5-billion from $1.2-billion, and its staff to 10,700, from 9,000. It will be funded from Stantec's existing credit facilities and paid for over three years. The vote is set to take place in December and if approved, Stantec will close the transaction in early January. Stantec has 9,000 employees in 150 locations throughout North America. As everyone knows, Black Friday is the name the retail industry uses to describe the day after Thanksgiving. The reason for the term Black Friday is it is (hopefully) the one day that retail stores can turn a profit for the entire year. However, for those affected by the downturn in the economy, Black Friday will either be a day of mourning their job loss or commiserating with those who have recently lost their jobs. And those job losses include some heavy hitters in the SMPS marketing/business development portion of the AEC industry. Among them, former SMPS national President Peter Kienle, who was laid off last week by McKim & Creed in North Carolina, where he served as chief marketing officer, as well as veteran SMPS seminar presenter Gil Brindley, who lost his job as executive vice president with Professional Service Industries in Pittsburgh. Sadly, this time around, the job cuts seem to be at a higher level than in previous years, when it was entry-level and recently hired folks who were let go. The thinking this time seems to be, "How can we save the most money without losing too many people?" And then companies promote from within. The problem with this is the expertise, experience, and perspective being tossed aside in the name of bottom line savings. Kienle and Brindley told me separately that they aren't the only ones in the Charlotte and Pittsburgh areas who have lost their jobs, either. Other marketing folks at firms such as Mulkey Engineers & Consultants in Raleigh let go their marketing director about a month ago and Pennoni Associates, Inc. cut a business development position in its Pittsburgh office. While the economy is sluggish, cutting marketing and business development folks is shortsighted. You are essentially making it certain that you will not be bringing work into the firms' coffers, thus increasing the likelihood of further layoffs in the future. It's doubly problematic for Kienle and Brindley, since Kienle was responsible for strategic planning, and Brindley, who helped seek out potential acquisition targets for PSI. As you're eating your Thanksgiving meals this weekend, remember those folks like Kienle and Brindley who did the heavy lifting and worked the long hours, not to mention the endless hours in airports and in hotels, and are now faced with the unenviable task of trying to find a new job in this economy. There's no way to sugarcoat it, folks, the architecture portion of the AEC industry is in deep trouble. This morning's news that the AIA's Architecture Billings Index hit its lowest level since the survey began in 1995 is a major blow to anyone's short-term visions of a quick turnaround. While some quarters believe that President-Elect Barack Obama will push an agenda of addressing America's infrastructure, fact is, it will be two more months before he even takes office and perhaps much longer than that before bills are introduced into Congress, debated, signed into law, and then funding appropriated for them. And because the index is a leading indicator of construction activity, the ABI shows an approximate nine- to 12-month lag time between architecture billing and construction spending. This means that we shouldn't expect to see much construction activity for the bulk of 2009. The October ABI rating was 36.2, down significantly from the 41.4 mark in September (any score above 50 indicates an increase in billings). The September number was a six-point drop from August, so the trends are headed in the wrong direction. The inquiries for new projects score was 39.9, also a historic low point. Regionally, the ABI breaks down as follows: Northeast (44.3), South (40.0), Midwest (37.4), and West (34.9). Sector by sector, the ABI breaks down accordingly: mixed practice (45.1), institutional (42.1), commercial / industrial (33.6), and multi-family residential (34.2). The breakdowns show that there really aren't bright spots right now for architecture firms, unfortunately. Perhaps the November election will at least spur some activity in November, which will be reflected in the December numbers. "It is not fear or panic here. Some firms will be faring better than others depending on their circumstance. I have not heard of huge wholesale layoffs. The Australian market is definitely not about fear or panic. We are actually happy about the labour correction. Yes, we do not have sufficient forward work, so we will also put people off to adjust." So when you wake up tomorrow morning and think, "Am I in this alone?" remember that your brothers and sisters around the world are in the same spot. According to two articles on Bloomberg.com, voters across the country passed a number of initiatives that will help address America's infrastructure needs. Californians approved at least $27 billion in new borrowing, including money for schools, and $9.95 billion in funding for a high-speed train network. They also approved selling bonds to improve children's hospitals while rejecting a bond proposal for alternative-energy development. In Los Angeles County, voters approved $7 billion of debt for repairs to its largest public school system and $3.5 billion for the nation's largest system of community colleges. Meanwhile, President-elect Barack Obama is believed to be putting spending on roads and bridges at the top of his agenda for stimulating U.S. economic growth. He promised during his campaign he would use infrastructure spending to create jobs, which would be great news for the AEC industry. "We'll create two million jobs by rebuilding our crumbling roads, schools, and bridges," Obama said in an Oct. 13 speech in Toledo, Ohio, where he outlined his plan for reviving the economy. Obama has urged Congress to pass an economic stimulus bill immediately after the election. House Speaker Nancy Pelosi, D-Calif., has said she wants spending on highways and other transportation infrastructure included in the next stimulus package. Obama in February proposed an infrastructure bank to invest $60 billion in roads, bridges, and other projects over 10 years. The American Society of Civil Engineers says it would take $1.6 trillion over five years to bring U.S. infrastructure to "good" condition, excluding expansion costs. President George W. Bush increased highway and transit spending to a record $286.5 billion over six years in the highway bill he signed into law in 2005. That was higher than the $218 billion for the previous highway bill, but was less than the $375 billion House leaders wanted to spend on the measure. I heard this not too long ago, but didn't get confirmation on it until I noticed this morning's post on the CEOWORLD Magazine web site. Stantec's board of directors announced earlier today that Robert (Bob) Gomes will succeed Tony Franceschini as the company's next president and CEO, effective May 15, 2009. Franceschini, who has led Stantec since 1998, will remain with the firm as a member of its board of directors. Gomes joined Stantec in 1988, ascending through the ranks until becoming vice president of Alberta North, Stantec's largest region, in January 1999. In that role, he led all Stantec activities in the Edmonton office and in northern Alberta. In 2005, Gomes took over as senior vice president for the industrial and project management group. By the end of 2007, according to a press release issued by the firm, he had more than doubled the revenues of that group, making it one of the fastest growing practice areas within Stantec. Franceschini, who joined Stantec, then known as Stanley, in 1978, took the $100 million firm in 1998 and through both organic growth and the acquisition of more than 50 companies, Stantec moved into new regions in the United States, Canada, and the Caribbean. Through Franceschini's leadership, the firm became publicly traded in August 2005 on the New York Stock Exchange. 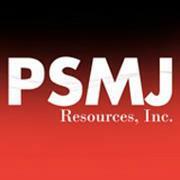 PSMJ named Franceschini the Outstanding CEO of the Year in the large firm category in 2005. As the AEC industry navigated its way through the M&A boom over the past few years, Stantec adopted the philosophy of changing the names of the firms it acquired to Stantec. Other acquiring firms either left the seller's name intact or took longer to integrate the firm names, but if you buy the assets, why not leverage your firm's strengths by changing the selling firm's name? Seemed sensible to me. On a personal note, I've met Tony and his wife on more than occasion at different industry events and had the opportunity to interview Tony on the phone for various newsletter articles over the years. The two things that strike me are his unrelenting work ethic and his love to travel. They are related. I often spoke with Tony at different airports while he was waiting to board another plane (perhaps on his way to acquiring another firm?) He was always insightful and went out of his way to get me whatever information I needed. His departure is a blow to this industry.